KingsGate has a rich history of blessing individuals and families with meals via a meal train in times of need. Most often, meal trains are used to bless families who’ve recently had a new baby and who without a meal train, would most likely forget to eat! But it’s certainly not only for the new babies. We’ve provided meals for families during times of loss, hospitalisation, sickness, house moves, but this is not an exclusive list…any situation where we as a community can lighten the load on a family. But they aren’t because you just don’t feel like cooking! Below is a bunch of information about how to get involved and how the meal trains work. How do I sign up to participate in Meal Trains? What on earth is a meal train? A meal train is a rota that is set up where individuals offer to provide a mealfor a family on a particular day. There is a great web based programme called Meal Train which we use for co-ordinating this, hence the name. Do I have to deliver a hot and ready to eat meal? You liaise with the person receiving the meal to arrange a drop off time. It could be earlier in the day, it could even be the evening before if you only get back from work late. Meals need to be all prepared and just needing to be reheated/baked/roasted, making it as easy as possible for the person receiving the meal. Does it have to be home made? Home cooked meals are great, but it could be a ready meal or you could even organise for a take away to be delivered at a certain time. We recognise that not everyone is at home during the day to prepare a meal, and in this way everyone can contribute. If you do prepare a homemade meal, we do ask that you use disposable containers, or transfer the meal into a dish at the persons home so that they do not have to return a multitude of dishes. Even better! What better a way to meet another person in the church family, than by knocking on their door with a meal! We’ll give you their home address and contact details. I know a person/family who would be blessed by a meal train - how can I set up a meal train for them? 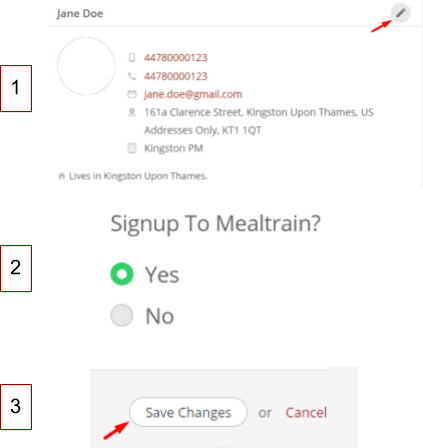 Click on one of the KingsGate community buttons above and let us know who you think needs some support with a meal train.